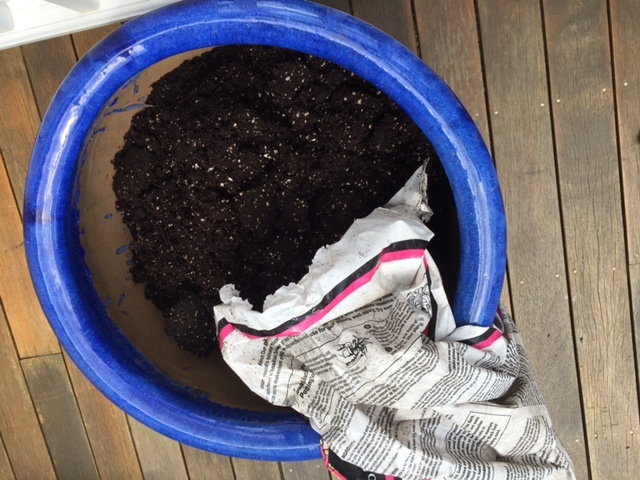 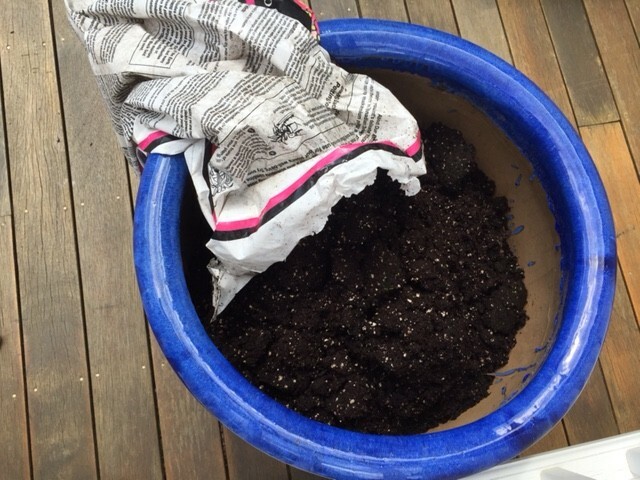 Step 1: Fill pot with planting soil. 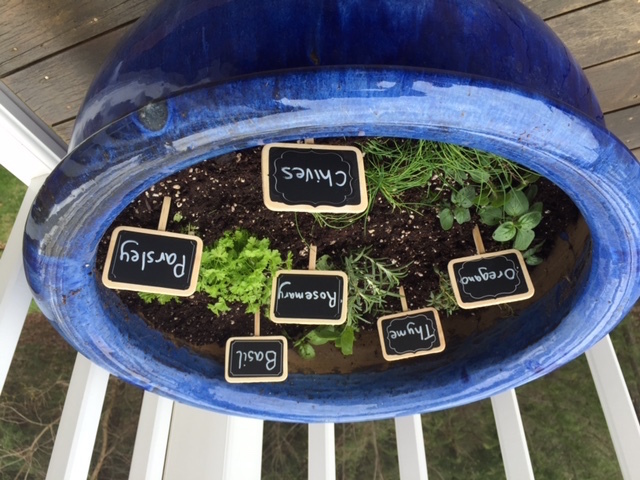 Step 2: Label each mini chalkboard sign. 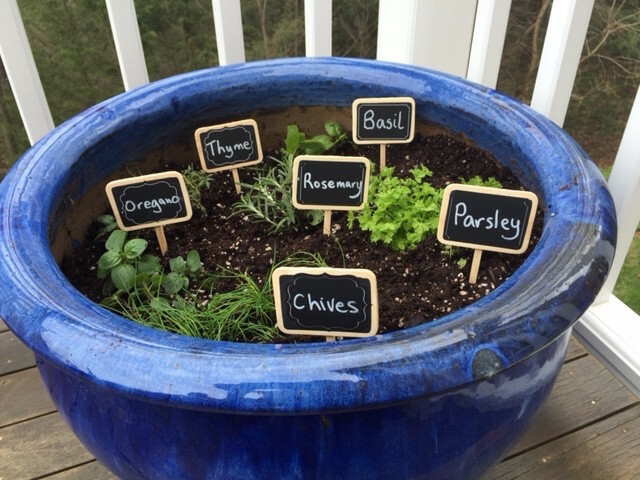 Step 4: Label herbs by putting a sign marker beside each plant.